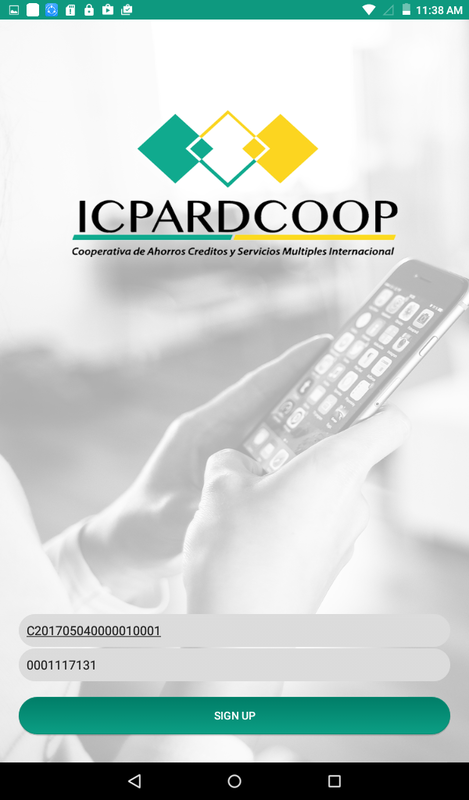 The President and Treasurer of ICPARDCOOP Inc. – Mr. Eri Guzman – was desperately looking for an online solution to address all their Credit Union based Banking needs including Credit Union Back Office operations and Customer and Corporate accounts management, Customer Portal and Mobile Apps for Android and i-OS devices. He along with his IT Manager Mr. Franklin Castillo, were introduced to SOL Banking by Mr. Moe Alharazi (Chairman, Cooptavanza R.L.). They were impressed with the solution given to Cooptavanza R.L. and wanted to take it forward from there by customizing the current solution to suffice the needs for ICPARDCOOP. ICPARD COOP Inc. filed as a Domestic for Profit Corporation in the State of Florida on Thursday, June 9, 2016 and is approximately one year old, according to public records filed with Florida Department of State. The current status of the business is Active. The ICPARD COOP INC. principal address is 247 SW 8TH STREET, SUITE 306, MIAMI, 33130. Company’s registered agent is GUZMAN ERI 247 SW 8TH STREET, MIAMI, FL, 33130. The company’s management consists of President / Treasurer - Guzman Eri, Secretary / Chairman - Cortes Alejandro. ICPARDCOOP’s primary focus was on Customer side to provide them will all functionality and gadgets available in the market. Eri and Franklin’s first priority with the Credit Union solution at ICPARDCOOP Inc. was to address their customers’ needs with Multi Currency Account for different Account Types and also give them flexibility to do transactions online without the need to visit the Credit Union branch office. 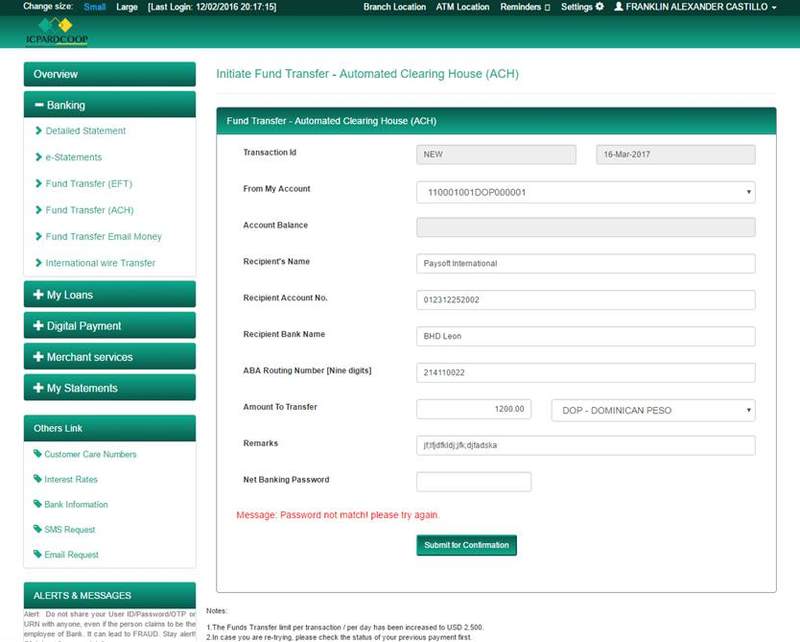 These operations include transfer funds within the same bank to different personal account, transferring funds to a third party account in the same bank or different Bank, ACH Funds transfer, International Wire Transfer and Email money and generating account statements for each of the accounts held by the customer with the Credit Union. They also wanted door step banking for their customers where the customer can place a request for Cash Withdrawal, Cash Deposit, EMI collection and a Bank official would visit them to do the same and then update their account accordingly. Request for Address Change and account statement generation were the other priorities in ICPARDCOOP solution. “We will need a Spanish version of the Customer side once the same is done for English.” confirmed Eri. SOL Banking system was first modified to accept multiple Account Types both for Personal and Business Accounts. Since Customer service was the top priority – Customer Web Application, Android as well as i-OS apps were developed which would address even the most basic request of the customer. 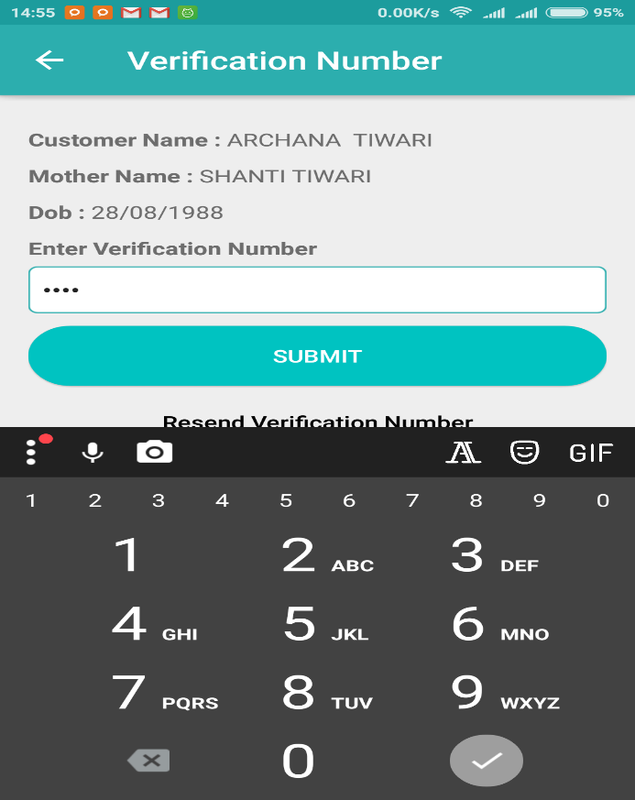 Any customer deciding to use the customer portal or the apps would only need to remember his Customer Id. with the Bank. The same would help him getting signed in by the use of OTP and then assigning an M-PIN for his transactions. Before sending funds, the customer has to go through the process to add a payee to his list. During the process of adding a Payee, 1 unit (of Account currency held by the customer) would be deducted to verify the account which is being added for Funds Transfer. The same would be credited to beneficiary account so he can confirm whether the account link-up was successful. Once the link-up is confirmed, customer can transfer funds to a third party account in the same bank or different Bank or make ACH Funds transfers. For International Wire Transfer, customer would need to specify the Transfer code (i.e. SWIFT, ABA no., IBAN No.) for each transaction in order to proceed ahead. For every transaction, the customer needs to authenticate the request through MPIN. In addition to the above, provision was provided to the customers to make a ‘Service Request’ for door step banking for depositing or withdrawing cash, EMI Collection and Address Change. The customer’s GPS location is automatically captured so that he does not have to give his physical location for the Service Request contact address and the Bank official can reach him easily. The customers can also generate statements for each of the accounts held by them in the Credit union. SOL Banking system on the whole took 45 days to incorporate these changes and delivered the first version to ICPARDCOOP on February 22nd 2017. The Customer Portal was the next to be released on March 13th 2017. This was followed by the Android App and later i-OS app around 31st March. ICPARDCOOP Inc. finally had an Online Banking solution for its Credit Union where transactions can now be managed digitally. Eri’s idea to have a Credit Union Banking solution to target ease of usage for his customers has worked where convenience of the customers and security of the transactions – both have been taken care off. For older customers, the Service Request for Cash Withdrawal or Cash Deposit, EMI collection has been a major success since now they can avoid the queue and enjoy banking services, sitting in the comforts of their home. Call us and speak with an Inbound Markating Specialist to answer any question you have. Schedule a demo to talk an Inbound Markating Specialist about your specific needs.